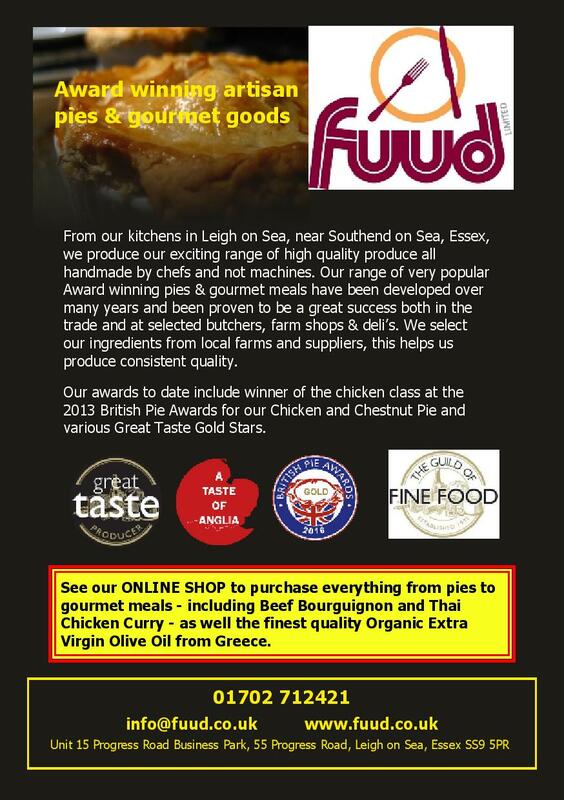 Leigh on Sea's Fuud Ltd pie connoisseur is celebrating after having been awarded Two Silver & Two Bronze in the Chicken, Lamb, Beef & Specialty meat Pie Classes for its Chicken & Chestnut, Lamb, Rosemary & Roasted Garlic, Wild Boar & Curious Cider & Steak & Ale Pies at the 2017 British Pie Awards (Friday, 10th March). The ninth annual British Pie Awards took place in Melton Mowbray on 10th March and this year nearly 900 pies were entered from a record number of 154 professional bakers and butchers. Undergoing a thorough judging process from over 150 top pie experts, Fuuds pies were given the two silver & two bronze accolades based on a range of criteria, including appearance, texture and taste. 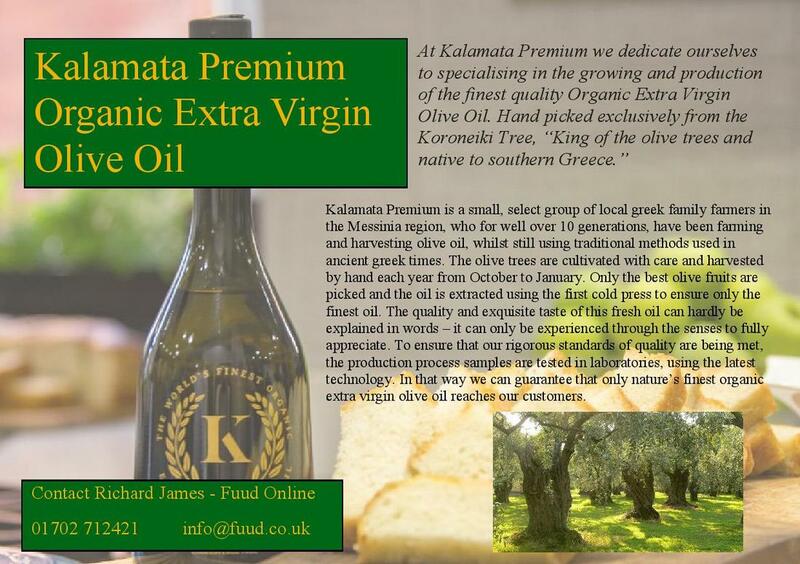 For more details on Fuud Ltd please visit www.fuud.co.uk for further information on the British Pie Awards, visit www.britishpieawards.co.uk and follow @britishpies on Twitter. 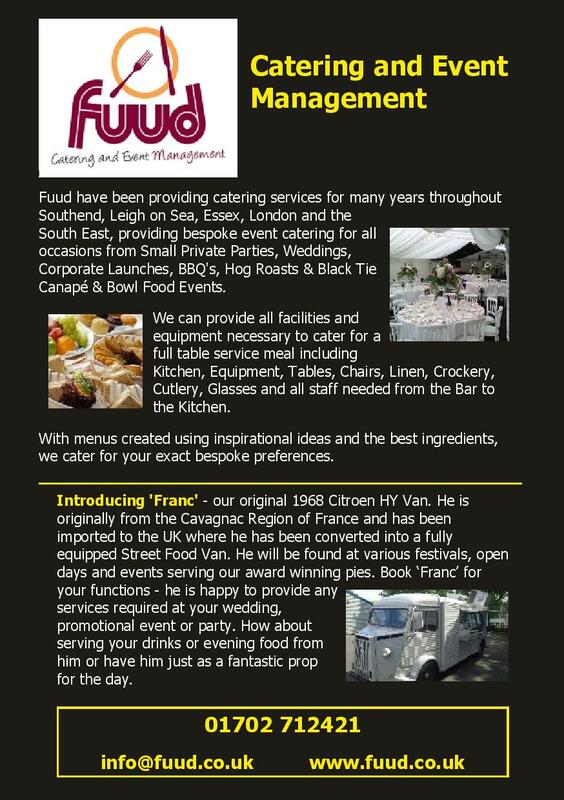 We provide a suite of bespoke catering services for private and corporate events and venues throughout the South East of England and are always working on fresh ideas to make every event special, memorable and stress free for our clients.